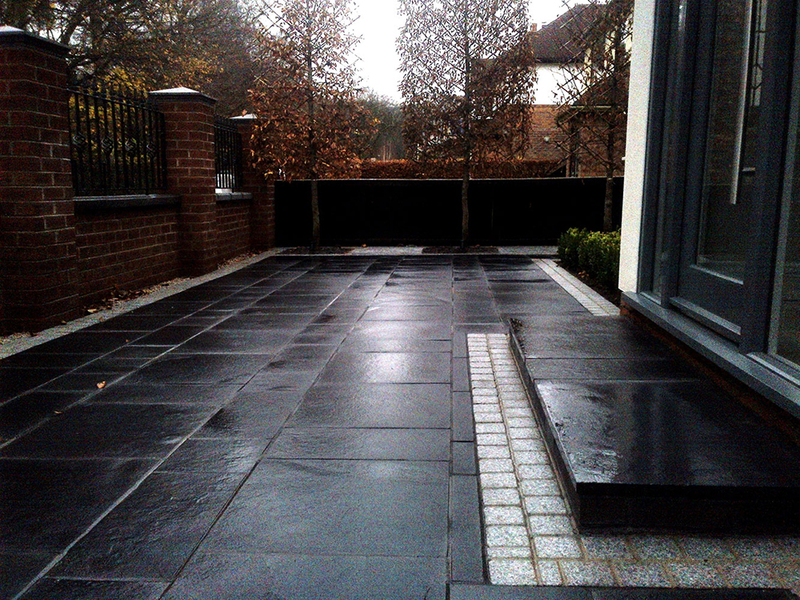 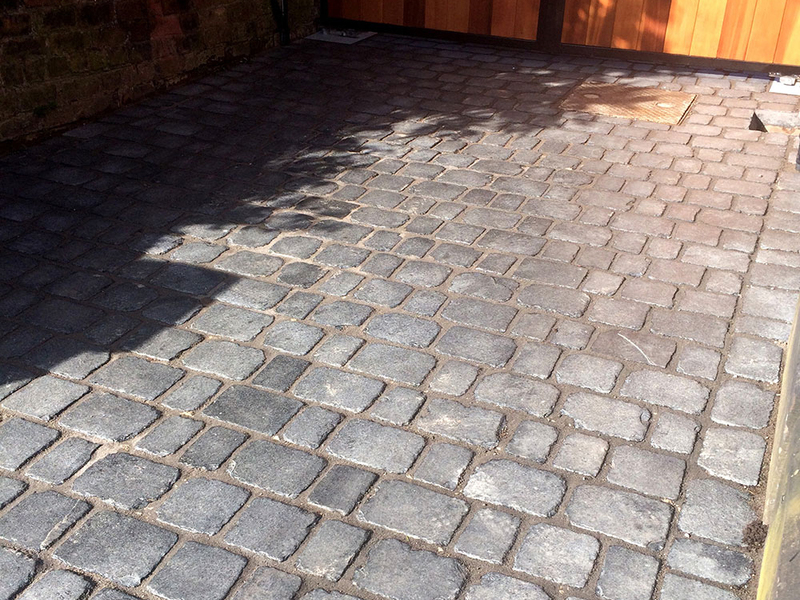 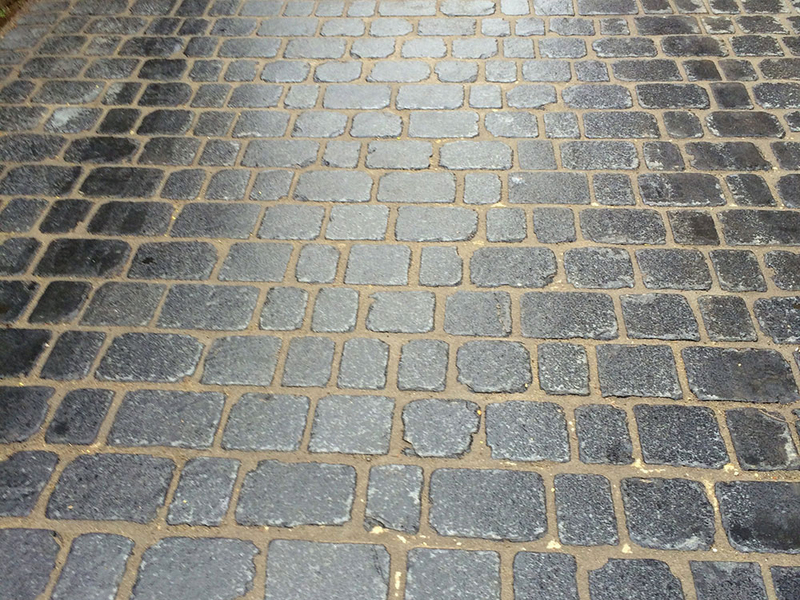 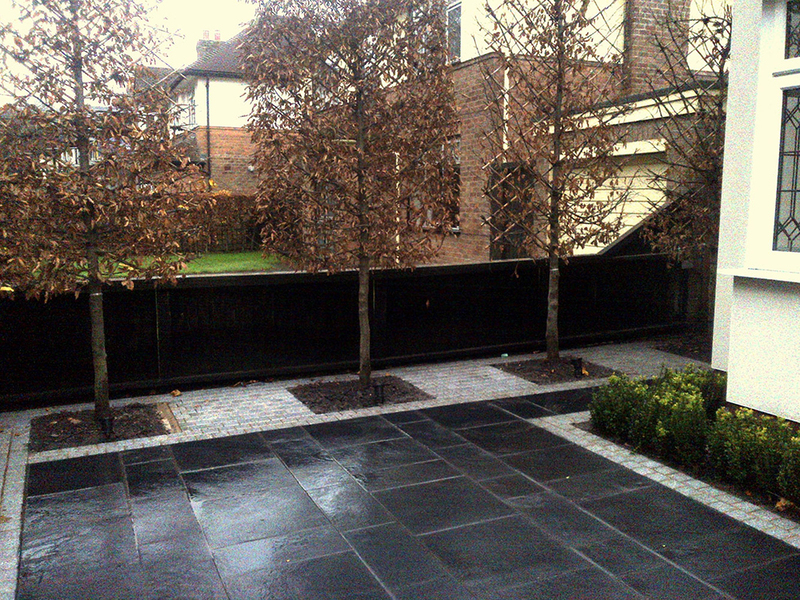 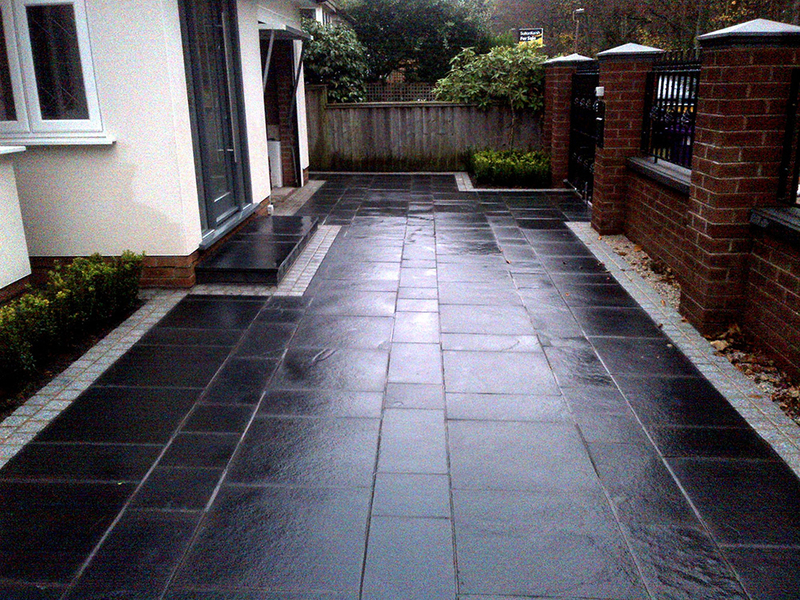 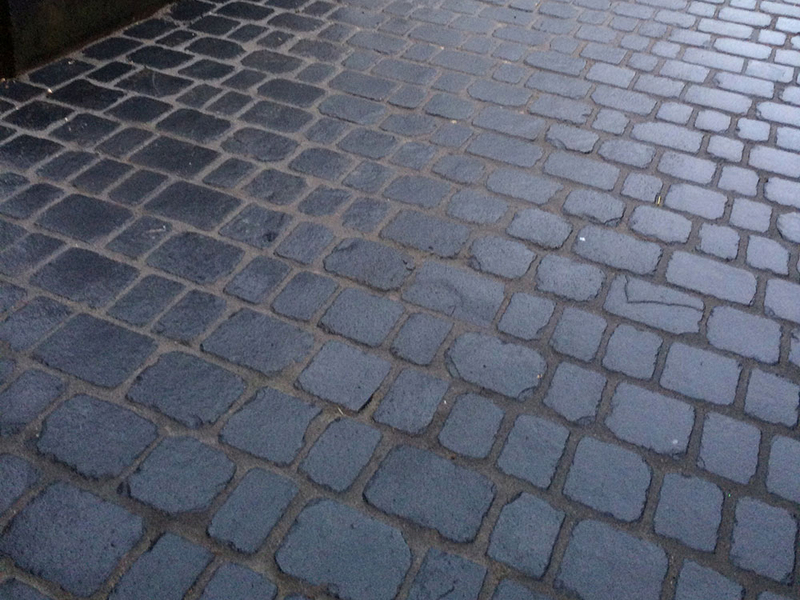 Limestone is a very versitile paving with a subtle riven surface. 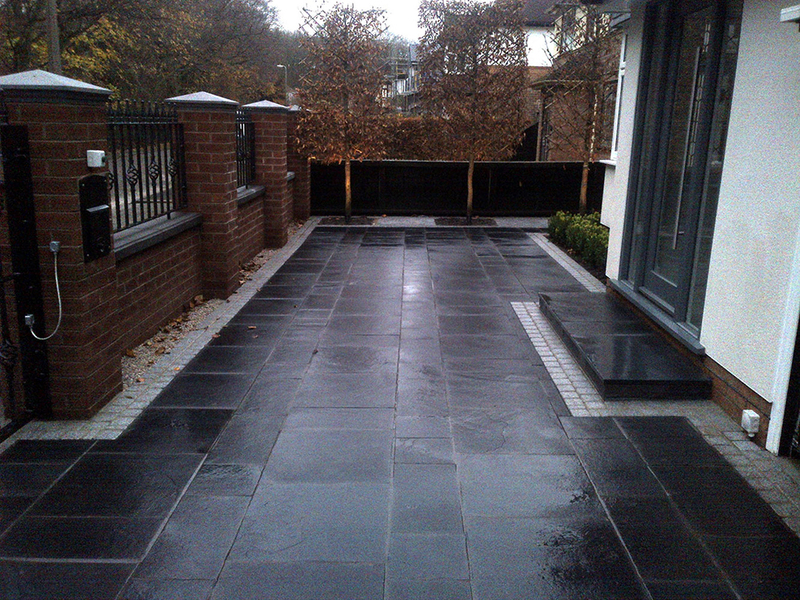 With its striking black colour it will bring a contemporary and sleek exclusive look to your home. 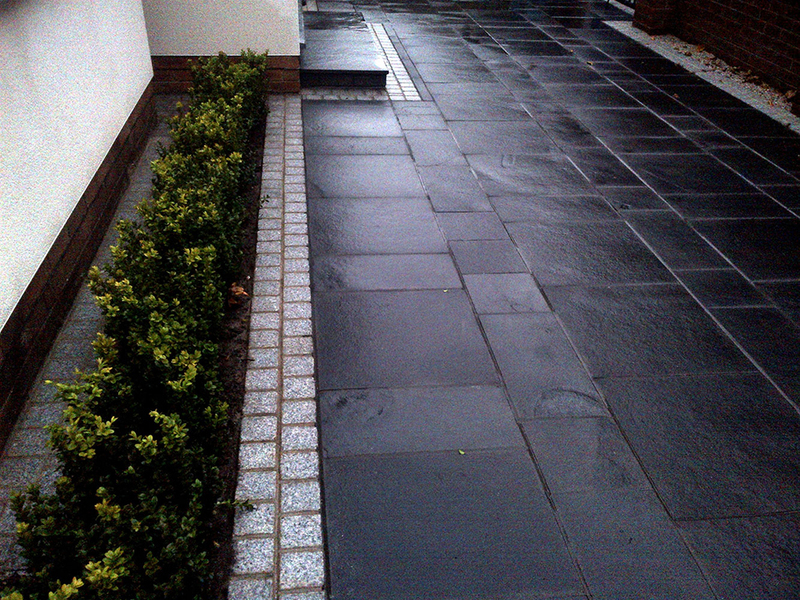 When combined with a Granite edging detail it adds a unique visual contrast.